We are a nation slowly but surely becoming obsessed with prebiotics, but why? Why are they suddenly so important to our health? While that sounds very official, it probably doesn’t paint the clearest of picture of what they are. So for all you gut health newbies out there, here’s an ultra simplified version of everything that you need to know: There are trillions of bacteria in your body. Some of them are good. Some of them are bad. Probiotics are what we call the good bacteria that live in your gut. Prebiotics are the food that keeps probiotics going. The more prebiotics that you can include into your diet, the easier it will be for probiotics to keep doing their job and to fight against the harmful bacteria in your body. Ready to give your friendly probiotics some fuel? While there is no one-size-fits-all intake for prebiotics, most experts recommend in the neighbourhood of six grams per day for the average adult. Wondering what that would look like on a plate in front of you? Here’s a quick and easy guide to getting your prebiotics fill in the tastiest way possible. Raw chicory root is your number one source of prebiotics. Strange, but true. While the name might not sound familiar, there’s a good chance that you’ve eaten it before without realizing it. It’s often added to a wide range of grains like bread and cereal as well as yogurt. Many people in the southern U.S. also drink it with hot water as an alternative to coffee since it has that java flavour with none of the caffeine. If you aren’t sure how to get raw chicory root into your kitchen, you can find it ground up and bagged at any health food shop. In terms of the numbers, raw chicory root is almost 65% pure fibre. To get your full intake of prebiotics each day, you’ll want to aim for about 9.3 grams or ⅓ oz of raw chicory root to meet your daily prebiotic intake. Your easiest way to do this is to drink chicory coffee. If you already drink coffee or tea, you can probably build a taste for chicory coffee pretty quickly. If you don’t like the flavour, grab some powder and just sprinkle it in your morning cereal. You’ll never taste it and it doesn’t take much to get a full day’s intake. This is about easy as health food comes. These creamy, yellow wonders are the ultimate in fast food. Not only does a single banana provide you with vitamin B6, manganese, vitamin C, potassium, dietary fiber, potassium, biotin, and copper, it’ll also help you reach your prebiotic intake goal. You’ll need about 600 grams or 1.3 lbs. to actually meet your full day’s need but it’s still a very good way to start your day! This isn’t your mother’s artichoke. If you go out shopping for a big roundish green looking vegetable, you’ll never find a Jerusalem artichoke. In fact, Jerusalem artichokes look a whole lot more like ginger than that stuff you use to make spinach artichoke dip. It does, however, taste like good old fashioned artichoke so you’re in for a treat if you like those. Jerusalem artichokes, aka sunroots or sunchokes, are all around great for you. 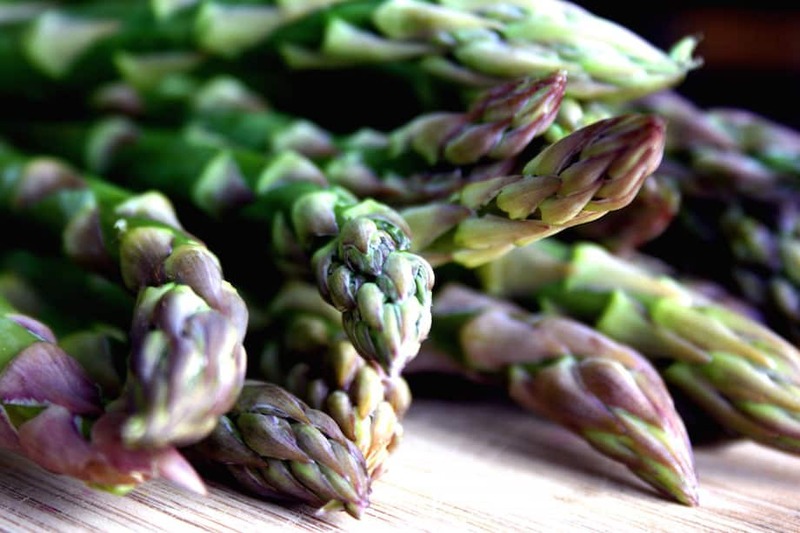 Not only are they high in prebiotics, they are packed with iron, fibre and potassium. To get your daily prebiotic intake, aim for about 19 grams or ¾ oz of Jerusalem artichokes. Jerusalem artichokes are a very common and healthy alternative to potatoes. Basically, any way you would enjoy your spuds, you can cook Jerusalem artichokes. Roast them, sautée them or fry them up for a special treat. Yep, those things growing outside of your house. Dandelion greens are packed with vitamins A and K as well as loads of calcium and iron. Despite being the enemy of gardeners around the globe, the entire dandelion is edible and great for you. To get your full day’s worth of prebiotics, aim to consume around 24.7 grams or 1 oz. of dandelion greens per day. You will definitely have no issue tracking down the ingredients and there are countless different ways to prepare dandelion greens. Try them in soups and salads or just create your own DIY herbal tea. All you need to do is toss some greens into boiling water for about ten minutes or you can pick up dandelion tea at most health food shops if you prefer the easier option. This is probably one of the foods on the list that you are most familiar with. Garlic is loaded with good-for-you stuff and it is no slacker in the prebiotics department either. It might make your breath stink a bit but you only need 34.3 grams or 1.2 oz. per day. Chowing down on some garlic bread with dinner will also keep you loaded up with manganese, Vitamin B6, Vitamin C and selenium. If you don’t like the taste of garlic, keep experimenting. It can be incredibly subtle when added to things like pasta sauce or hummus. Start with an open mind and keep trying until you find a garlic recipe or two that you love. Love onions but find them a bit too overpowering sometimes? Leeks are the perfect veg for you. They are packed with prebiotics and their sweet oniony flavour make them ultra easy to incorporate into your diet. Shoot for about 51.3 grams or 1.8 oz. of raw leeks per day to meet your prebiotics needs. Once you fall in love with them, try adding one cup of leeks to your diet per day and you’ll find yourself getting above and beyond your prebiotic needs while taking in over 50% of your daily vitamin K needs and 20% of your vitamin C needs. Toss raw leeks into your salads and sandwiches or just toss them onto cooked foods as a garnishes. And, while they are fab in soup, you wouldn’t get quite the same benefits from cooked leeks as you will the raw ones. Onion, garlic, leek, chive and asparagus are all part of the liliaceae family. Like most members of this family, onions are packed with prebiotics. As with garlic and leeks, it’s important to eat them raw to get the most bang for your buck. Raw onions contain organic sulphur compounds which are a critical mineral. When you cook onions, you destroy the minerals within them but fear not, fried onion lovers! It’s totally okay to enjoy cooked onions to your heart’s content but it’s important to make sure that you are getting a good mix of raw and cooked. Be sure to leave as much of the peel on as possible too! That’s where the uber healthy flavonoids are located. To get your daily intake, try to eat 69.8 grams or 2.5 oz. of raw onions. If you really hate raw onions and really love the cooked ones, you can still get your prebiotic intake with 120 grams or ¼ lb. of cooked onions. No surprise here! Another member of the liliaceae family can provide you with a major dose of prebiotics. Downing 120 grams or ¼ lb. of the green stuff will get you a full day’s intake of prebiotics. Try it raw alongside carrots and your fave dip or grab a jar of fermented kind. They are both great for you. If you really can’t stomach this relatively strong veggie taste, blend it into a green smoothie. Toss it in the blender with some spinach and your favourite fruit. I promise, you won’t even taste the asparagus! Some more standard good-for-you fare here. It might not be loaded with prebiotics like chicory root, but it’s another easy way to get yourself a little bit closer to your diet goals. You’ll need about 120 grams or ¼ lb. to get your daily intake of prebiotics with wheat bran. The good news is that it’s incredibly easy to add to your diet. Grab a bag of it and sprinkle it into your cereal, yogurt and smoothies. The flavour is very mild and it’s a very quick way to add a little superpower to any meal. You are probably already getting a good dose of baked wheat flour and it’s providing you with a major nutrition boost. This superfood has 14% if your protein and it’ll only take 125 grams or ¼ lb. to get your full day’s prebiotics- which any bread lover among us would be happy to finish well before dinner! Now that you’ve got the ultimate prebiotics grocery list, it’s time to start shopping. All of the probiotic-rich food in the world will only get you so far if you aren’t providing your body with prebiotics. So, start experimenting and find your signature prebiotics dish!